Good IGTV titles and descriptions can be the difference between getting your content watched… or not! You have likely already put quite a bit of energy into creating your video so why not help it perform the best it can? I went in to detail about how content is explored and found on IGTV in my Ultimate Guide to IGTV for Business article, but I will simply repeat here that currently IGTV isn’t very friendly for finding content. As of the publishing of this article, the ways you can search for new, interesting content are very limited. Our work here with IGTV titles and descriptions are largely forward-looking and preparing for future improvements to searchability on the IGTV platform. I’m betting that Instagram, who has already put so much energy behind video, will continue to add bells and whistles to IGTV… and by the end of this article, you will be primed and ready for those changes! Oh my goodness. 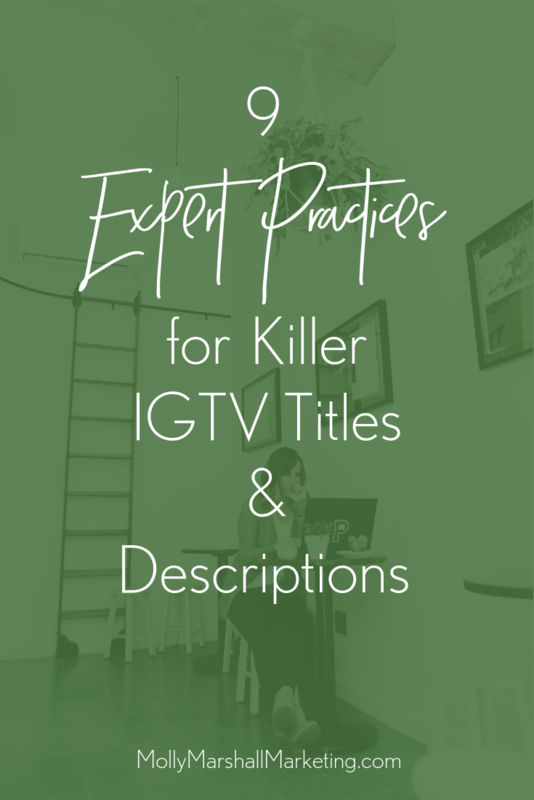 Best practices for crafting video titles for IGTV could be an entire post in itself, or even a couple of blog posts! Much of what you have read in other places regarding blog post titles or even email subject lines applies here as well. Your video title’s job is to motivate someone to watch the video, or at or at least click on the description to learn more about what the video is about. When crafting a title for an IGTV video, here are some things to keep in mind. I’m not a fan of being vague, click bait-y or misleading. Give an accurate description of what your video is about. “OMG… THIS happened!! !” may work well for social media celebrities, but it probably won’t be very effective for most businesses. If you can convey the value to the viewer (what they will gain by watching), that is ideal. Break out that thesaurus! One thing I like to do after I’ve written my title, is go back and see if I can give a power boost to any of the words. Is there any way to “amp up” any of the words? You are given some great opportunities with IGTV video descriptions, including clickable links, hashtags and handles! First, I repeat the video title here. The main reason is because I’ve spent time carefully crafting it to include keywords, so by repeating your video title, you are injecting those keywords into the description as well. While creating great content for the sake of helping your fans and customers is great, I encourage you to also be strategic about what you create. 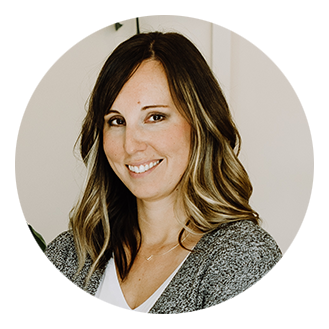 Meaning, your video content is also helping to funnel people to your website to build your website traffic, email list, and increase product sales. I always include a link to my website because links are clickable! It’s so exciting that Instagram allows live links in descriptions. Maybe someone would rather read the article on my website, or watch the video there for some reason. Or maybe they aren’t even aware that I have my own website. Include that link! Including a paragraph or two of descriptive content allows you to get some keywords in, and entice someone to watch your video. I’ve included an example of one of my own descriptions below, and you can see how I teased some of my content in it. If this IGTV video is someone’s very first experience with me, I want to give them an opportunity to follow me. In addition to links being clickable in descriptions, so are handles! I include a call to subscribe to my IGTV, which they can do by following me on Instagram. 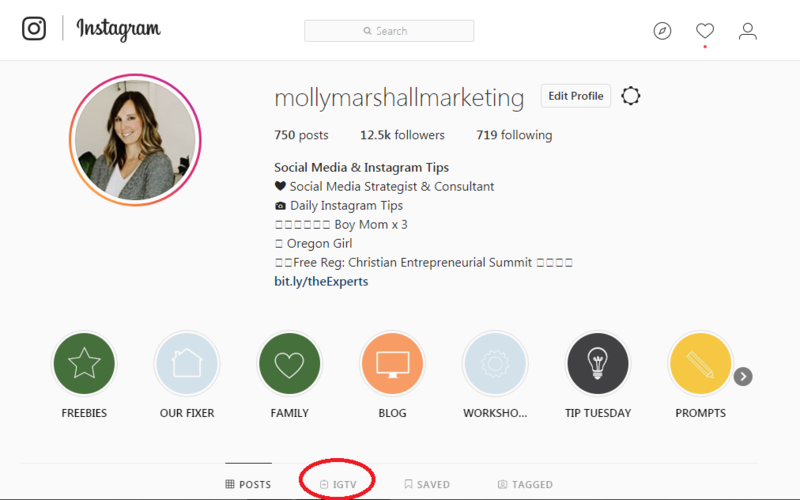 To make it dead easy, I put my handle, @mollymarshallmarketing in the description. All they have to do is click and they are taken to my profile to follow me. I also like to give people the opportunity to join my list. If they like what they see in the video, maybe they want to take the next step and get my free gift. Every time you put out a piece of content, you should give people “next step” options! I’ll be upfront with this and say that IGTV videos aren’t appearing in hashtag searches… yet. But I like to include just a few hashtags because I think this is a logical next step for Instagram. There was a time when Stories didn’t work with hashtags either, but now you see curated Stories in the hashtag feeds. I’ve said this a few times, but it’s worth repeating: searchability on IGTV is really limited right now, but I have to believe that Instagram is going to work to remedy this, since they are obviously doubling down on video. I want to be ready for it, so I include 5 relevant hashtags. Below is a sample of one of my video descriptions so you can see the layout in action. 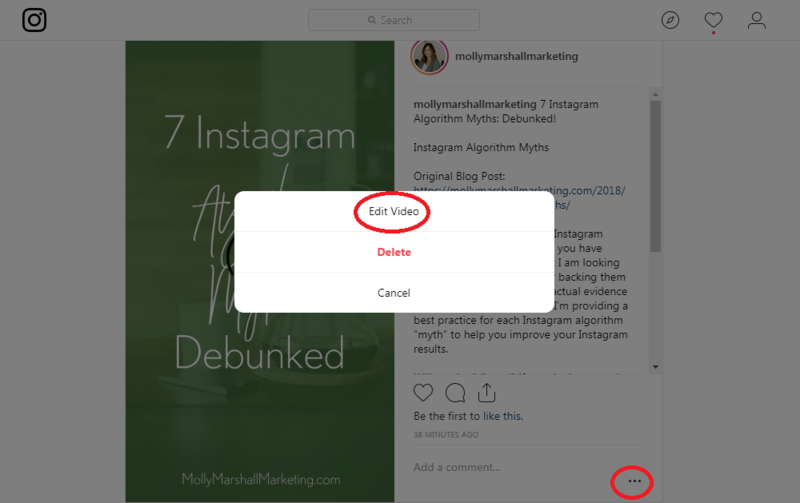 I asked YOU to tell me what Instagram algorithm myths and rumors you have heard, and in this video/post I am looking at seven of them! I am either backing them up or disproving them with actual evidence to support my stance. 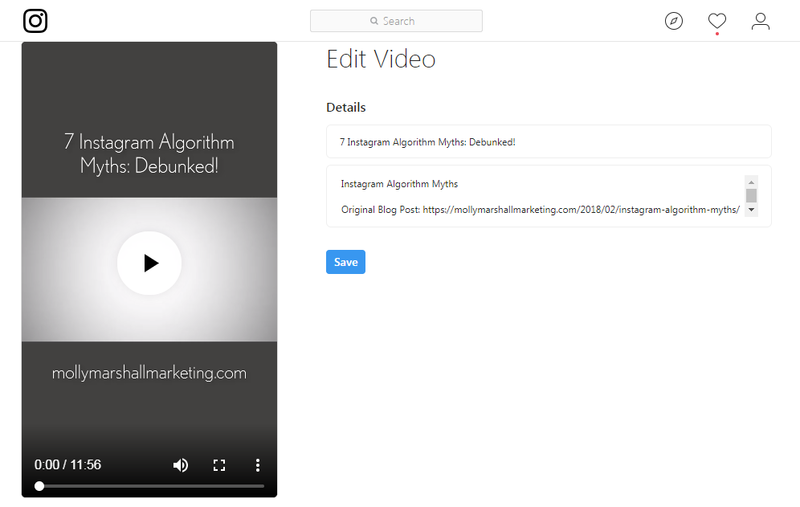 Then, I’m providing a best practice for each Instagram algorithm “myth” to help you improve your Instagram results. Will you be “dinged” if you don’t respond to comments within 24 hours? Are Business accounts penalized? Answers to these questions, and more! I’ll leave you with some good news about any IGTV content you’ve already posted. 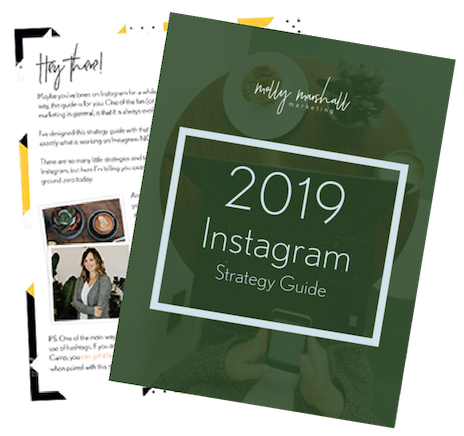 You can go back and optimize it through the desktop version of Instagram! Under your profile information, you’ll see four tabs: Posts, IGTV, Saved, and Tagged. Click on IGTV. You’ll come to a screen that shows all of your uploaded videos. Click on the video you want to update. In your lower right you’ll see an ellipses (…). When you click on that, it brings up a lightbox with three options: Edit Video, Delete, or Cancel. Click on “Edit Video.” You will be able to make changes to your IGTV video title and description! Will you go back and optimize your IGTV videos?